Services & Technology - mijava Corporation of Canada Ltd.
SaaS | FOM – Food Operation Management delivers a high value of Food Preparation, Vendor Management, Item, Recipe Management and Menu Management. Additional features include; Menu Deliverables and Menu Costing to assist when preparing any of the dining service and when using a system like the mitrition solution, it streamlines the facilities to adhere to economical challenges. 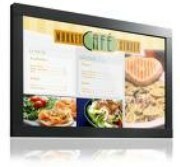 Menu’s at your fingertips . . .
SaaS | NCM – Nutrition Care Management delivers the acute layers of focus when managing the patients in the facilities. Understanding the metrics (LDA, Likes, Dislikes and Allergies) and health requirements is an absolute must! The solution has predictive technology, and organization structure which provides a huge benefit when Diet Tech, Nurses, and Dieticians are using the system. and more importantly – maximize your staff’s utilization. The mitrition solution integrates with most of the systems in the market today, which makes the decision incredibly easy when working out the details to select the right system. Our solution provides, interfaces into PCC (Point Click Care), Cerner, Meditech, Med-e-Care and MDS. HL7 is one of several American National Standards Institute (ANSI) – accredited Standards Developing Organizations (SDOs) operating in the healthcare arena. SaaS | RMS – Room Service focuses on the room/patient requirements, which provides an enhanced end-user experience when staying in a Hospital, and managing their diet needs/requirements. The ability to build patient menus in a variety of formats: daily (repeating) room service and/or restaurant style, cycle menu with special of the day, or any user-defined menus that is right for your operation and patient population. Hot food, cold food and expediter ticket printing in the kitchen, on demand! With so many elements contributing to a successful catering operation, the implementation of an automated management system is crucial to ensuring that no detail is overlooked. From menu management to costing to effective booking, Cater Xpress seamlessly ties these essential features together. Available as a stand-alone package or as an add-on module to Mitrition’s Foodservice Operations Management solution, Cater Xpress is the right system for any size operation offering catering solutions to its clientele.